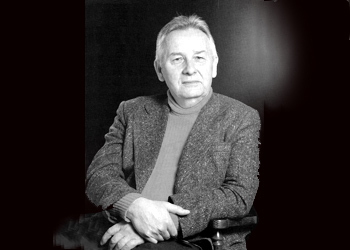 Henryk Mikołaj Górecki, Polish modern classical composer renowned for such works his “Copernican” symphony (Symphony No. 2, “Copernican”, Op. 31, 1972), was known throughout the world as one of the pioneers of modernism and minimalism in the classical realm. He passed away earlier today in Katowice, after a long illness, at the age of 76. A multi-instrumentalist since his youth, Górecki graduated from the Katowice Academy of Music with honours in 1960, where he would later lecture. He held the post of Professor of Composition at the State Higher School of Music in Katowice from 1975 to 1979, when he resigned in protest against the communist authorities. During this time, he was composing some of his most important and influential works, founding the “New Polish School” of composition, and moving from his early avant-garde style to a more traditional approach in the late 70s. At this time, he also began to gain renown internationally, and began work with the London Sinfonietta as well as the world-famous Kronos Quartet. His most popular work, the “Symphony of Sorrowful Songs” or Third Symphony, can be listened to below. Last month, Górecki was awarded the Order of the White Eagle by First Lady Anna Komorowska, the highest honour from the Polish state.